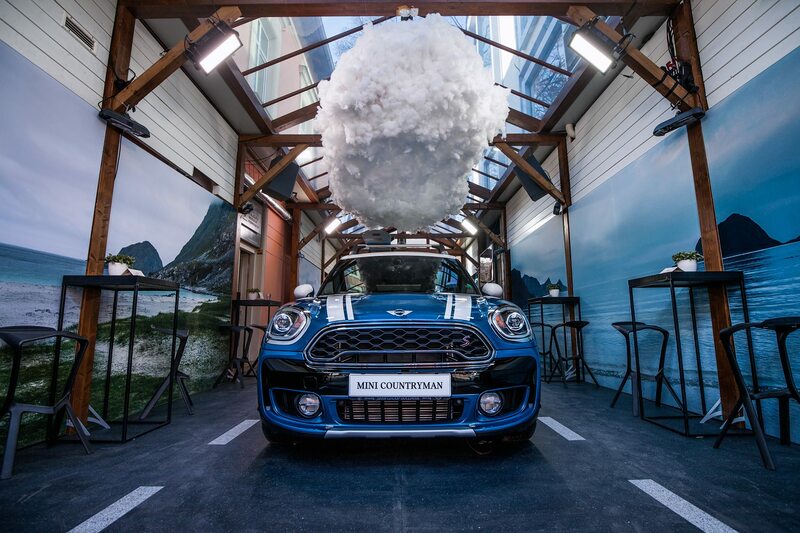 A three day exhibition on the occasion of the special presentation of the new MINI Countryman in Sofia, Bulgaria in the gallery of PhotoSynthesis, Sofia. 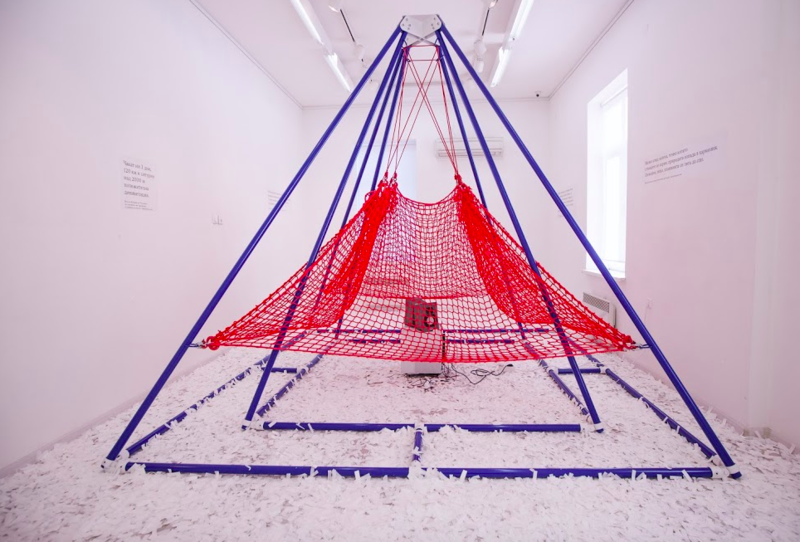 The main curatorial idea is to give shape to the leading slogan “add stories“, part of the international campaign of the brand, through three art installations with the participation of Bulgarian artists from the field of design, video, illustration, text and sound. 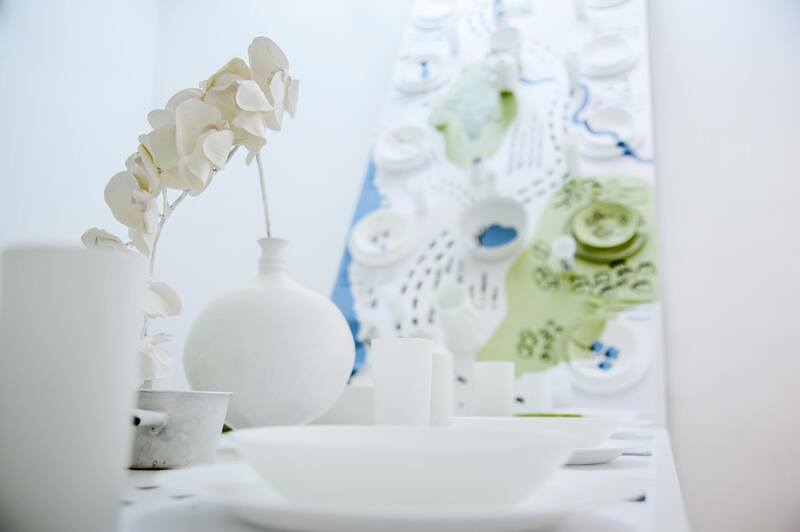 The installations are set apart physically in three different rooms. 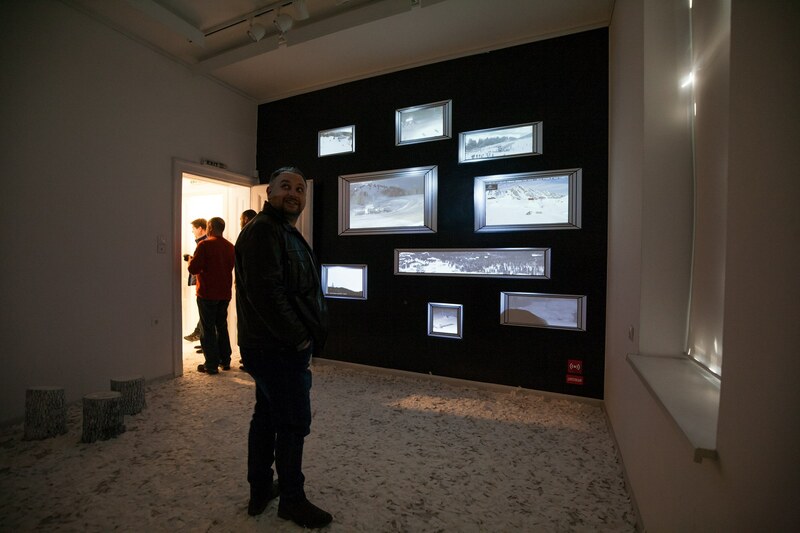 In the first installation the visitors can enjoy the adventurous stories of six Bulgarian explorers from around the world. 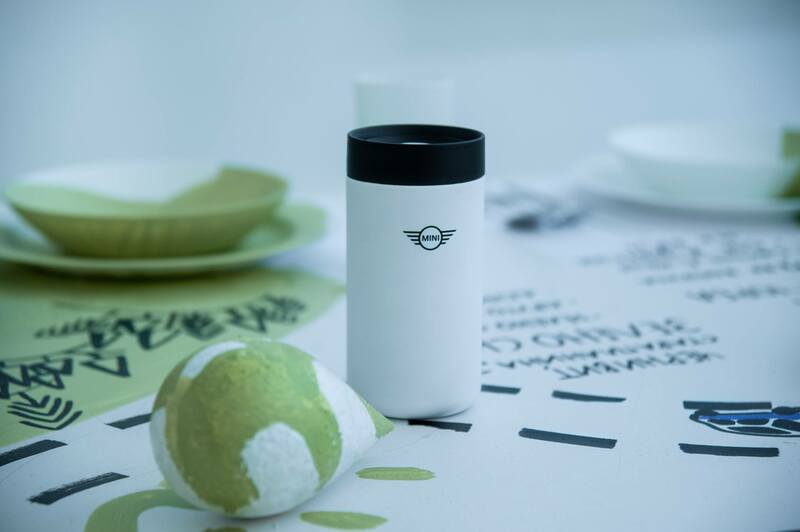 Their trips vary – from the Rhodope Mountains, Thassos Island (Greece), the Arctic Ocean, Peru etc. 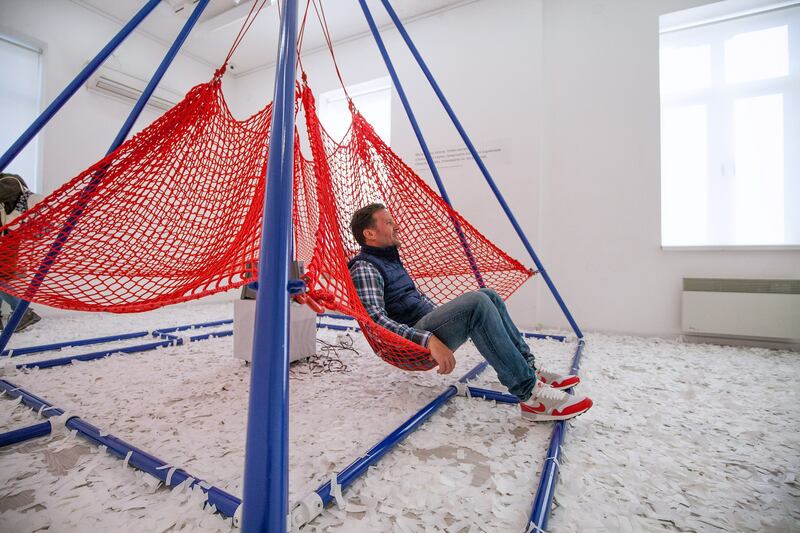 The visitors take a seat in specifically designed for the event hammock and listen to the stories. 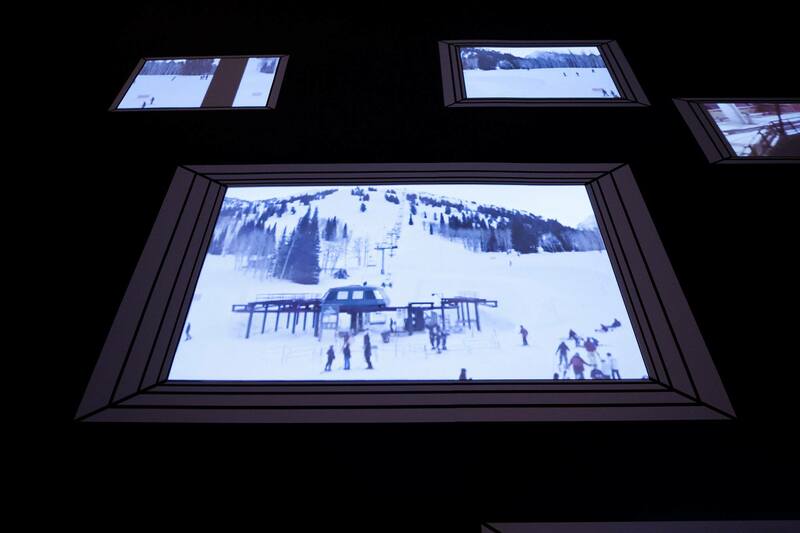 The second interaction is focused on the video installation by Phormatik Visual Lab, which shows what is happening at some of the best ski resorts in the world via live streams. Through them one can witness what the weather is and how crowded the slopes are in France, Romania, USA, etc. 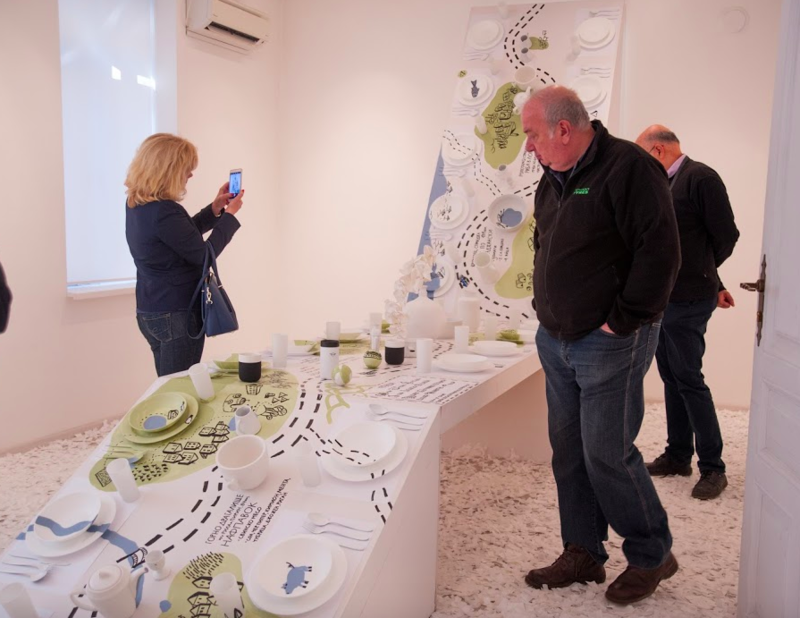 The last installation inspires the visitors to take different imaginary tours around Bulgaria with the new MINI Countryman with illustrations made by Chark Collective on a site-specific table designed by Eva Ventova. 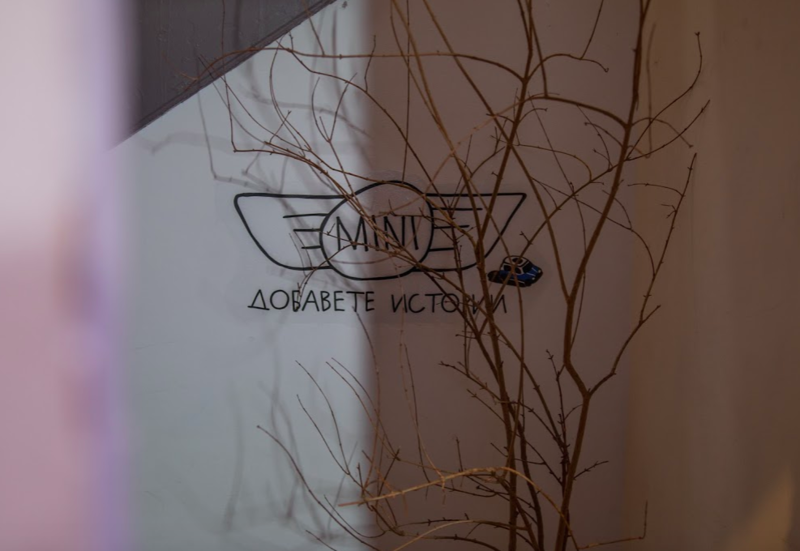 Additionally one can read about interesting local recipes from the book – Delicious Geography published by Tochitsa.